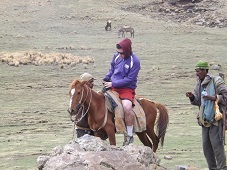 10 activities that my customers enjoyed during their time in Ethiopia. 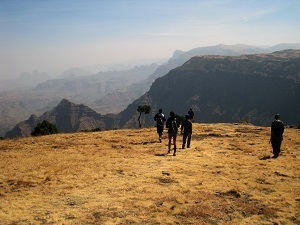 Some call the Simiens the roof of Africa, others the Grand Canyons of Africa.The Simien mountains is a World heritage site where the most majestic mountains are beautifully chained up in an area of 179 square kilometers.Hiking and trekking tours in the Simien can be customized in length and difficulty depending on you. With altitudes nearly 2000 meters apart in different parts of the park, every day of trekking takes you through changing landscapes and flora. 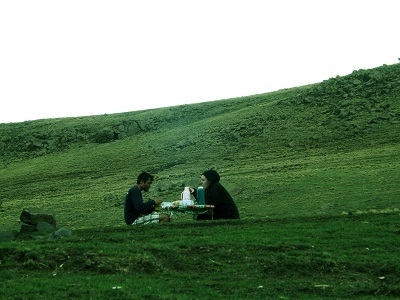 Beautiful camping sites and rare wildlife will make your trekking experience unforgettable. 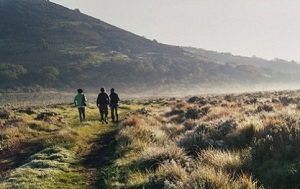 Mountain chains with a large contrast, the Bale mountains have been the second best choice for hiking and trekking enthusiasts. 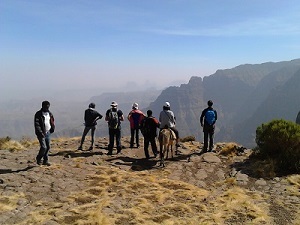 Its highest mountain, Tulu Dimtu is the second highest peak in Ethiopia at an altitude of 4,380 meters. 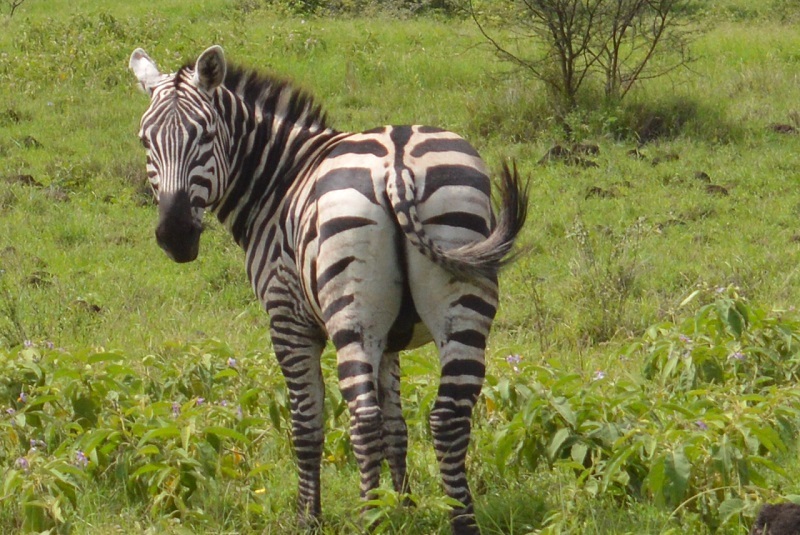 Vist my Ethiopia page and you will learn that you can see more than a dozen wildlife in just a few weeks. But my customer's top picks are the Ethiopian Wolf you can see from a distance, the Chilada that you can admire from a meter away and the hyena you can literally touch. 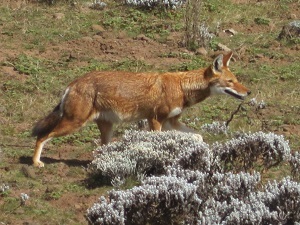 A game drive into the scenic Bale national park and you will experience the sighting of the rare Ethiopian Wolf. 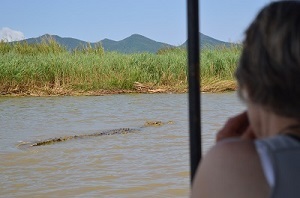 From the comfort of your car you will be able to see this endemic animal in its fascinating habitat. Get a glimpse of this endangered wolf as it demonstrates its exceptional hunting skills as it preys. 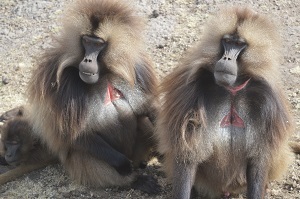 Friendly baboons that you can find only in few places in Ethiopia and that you can see from a meter away. Seeing the day to day life of these chilada baboons as they roam their beautiful mountains has fascinated many of my customers. A pick that might surprise you at first but perhaps many of my customers will put their experiences with the hyenas of Harar on top of the list. 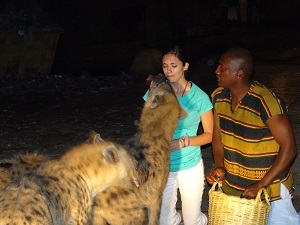 You could see the friendly Chiladas from a meter away but you can literally touch the wild hyenas of Harar. It is the only place in the world where you get the chance one of the feared predator/scavenger of the animal kingdom. The tribes in the Omo: The simplistic life of the tribes of the Omo has been the primary source of fascination. 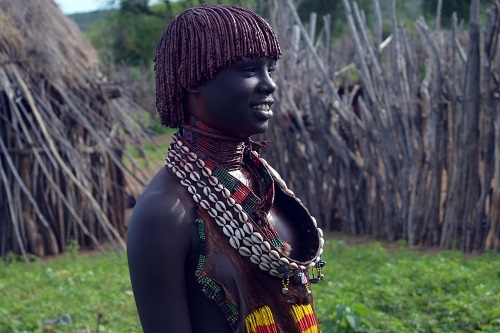 The Hammer tribe, the Mursi tribe and the Dassanech have been sources of fascination in this respective order. The Awramba community: I have written an article about this fascinating community (here): a community which is the closest of practicing socialism in its purest form. With no bias, I have to add that my customers enjoyed the cultural experience I organize in a private home mainly as a welcome treat ( about my tours) A private lunch in a private home with English speaking host gives you an insight about the day to day life in an Ethiopian home. An adventure with no match. Delving in the harshest desert requires driving past the most difficult road in the world. 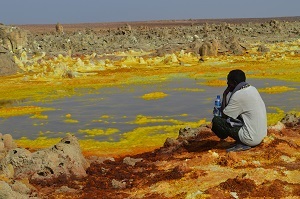 The standard 4 days adventure in the Danakil will bombard you with one experience after another. Camel trekking, sleeping in the open, walking on salt, bathing in spring water, swimming in a lake in the middle of the desert, stepping foot on the lowest place on earth, facing the world's only active lava lake... and more. 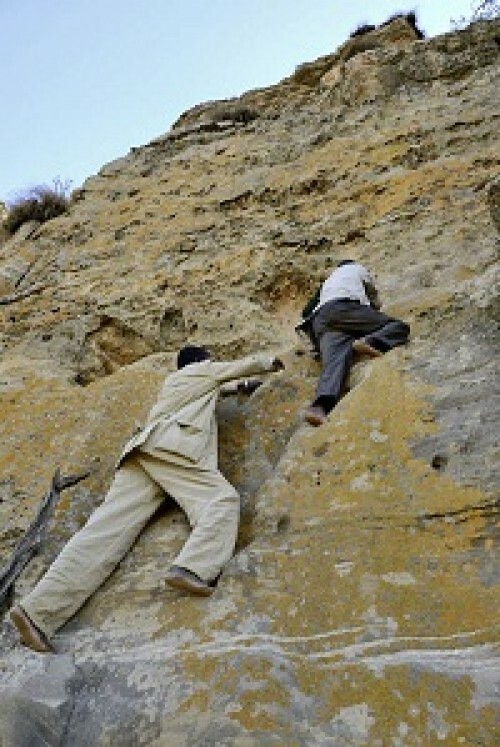 To go back to some of Ethiopia's past, you have to go up. 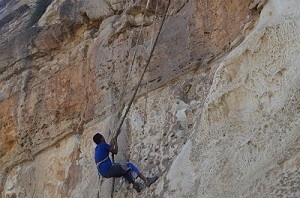 Some of the first churches in Ethiopia were built on cliffs thousands of meters high up. Reaching them is an adventure with no comparison. 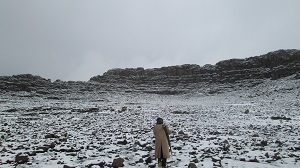 The hike to Mariam Korkor is punctuated with steep ledges that seem impassable without falling. The hike to Abune Yemata church is by far more challenging, with a 200 meters ledge that only the adventurous will attempt. Not far away is Debredamo Monastery dating back to the 6th century. To reach it you have to climb up using a rope in a thrilling experience. 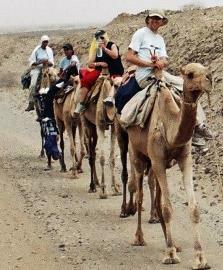 For now those who take my complementary offer of camel trekking have enjoyed the experience. This is quite a different experience. You start your camel trek in the Danakil as the sun starts to set beautifully in this strange desert. You do the one way trek (3-4 hours) lighten by the moon, enjoying the star filled sky, admiring the volcanic mountains in silhouettes. On your way back you will experience the beautiful sunrise which brings the strange shaped volcanic rocks and cliffs to light. And it is not a camel trek to nowhere: it is to Ertale, the father of all volcanoes. With more than a hundred ancient churches cramped up in just one region, Ethiopia has no shortage of historical and archaeological sites to visit. 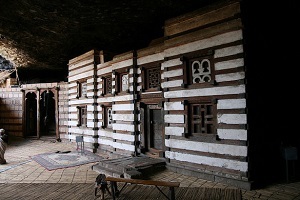 What is more fascinating is that historical sites Ethiopia are more than pure sightseeing: they are blended either with adventure (like climbing to reach them) , engineering wonder or cultural experience. Here are my customer's top picks of historical sightseeing destinations in Ethiopia. Sky scraper obelisks with some dating back to the 1st century, an archeological museum with artifacts from 700 B.C , the ruins of the lengendary queen of Sheba's palace, the mysterious Saint Mary Tsion church said to be the resting place of the ark of the covenant... there is much more to see in Axum, in a city whose 90% is still unexplored. 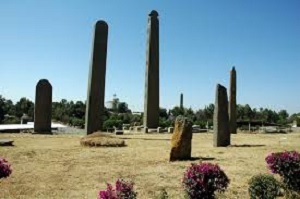 Not far from Axum is an even older town: Yeha. Here stands the amazing walls of a Judaic temple. Built in the 5th century B.C, the Yeha walls predate the roman Colosseum. 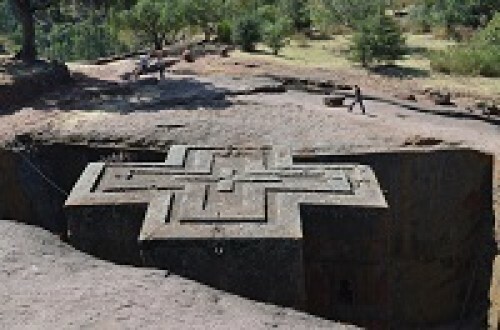 Scattered on small peninsulas are some of Ethiopia's ancient monasteries. With a boat trip on the country's most popular lake, Tana, you can spend an entire day visiting one monastery after another. The journey takes to meet people living on these peninsula for a cultural glimpse and also a walk through coffee plantations in the country where it was first discovered. 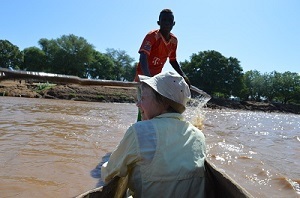 One of the least promoted lakes in Ethiopia and one I am never tired of recommending. 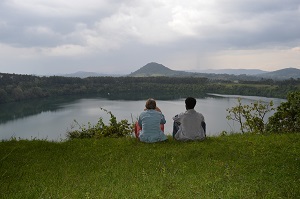 This small and beautiful crater lake is one of the less touristy spots in Ethiopia. Chances are that you will be the only ones camping the night there ( under of course the watchful eyes of your guide, park ranger and cook.) Varieties of birds and Colobus Monkeys call the surrounding forest home: a forest which warrants a nice short trek. You can enjoy a glass of wine in the middle of the lake on your boat. Zengena never gets too hot or too cold, making it ideal for camping. You can enjoy a camp fire amid untouched nature, and a three course dinner by the serene lake. 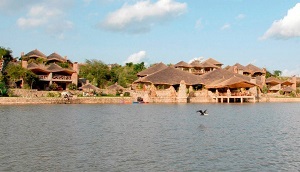 Kuriftu has always been my pick among the several excellent lake side resorts in Bishoftu. I never had a disappointed customer with the experience. The newest buildings at Kuriftu provide a great view of this beautiful serene lake. 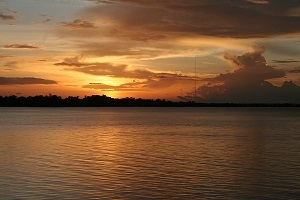 Kayaking, spa services and an open restaurant by the lake shore promise a relaxing experience. Not sure if it is something you would want to do while traveling but if you do, you have a private cinema at your disposal at Kuriftu. 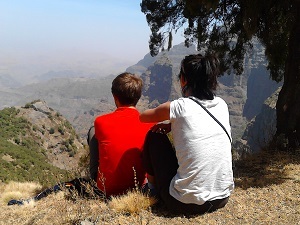 Beautiful camping sites, stunning views and nature, friendly wildlife, excellent cuisine, camp fires...the Simiens are not just about trekking and hiking. It has all the ingredients for a great getaway. 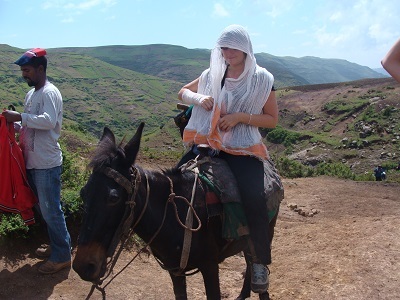 Many couples have gone home with memorable romantic moments in the Simien. Now registered as UNESCO intangible heritage, Meskel brings together thousands of Christians together to the most popular square in Ethiopia. 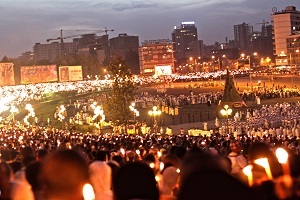 Taking place on September 16 except for leap years, Meskel is celebrated to mark the finding of the lost Cross. With tens of thousands christians, thousands of choirs and series of performances, Damera marks arguably the liveliest afternoon in Ethiopia. 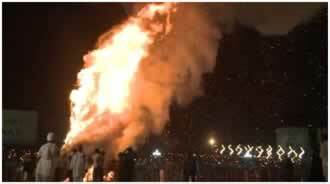 The main event of the day takes at about sunset where the gigantic bonfire is set ablaze by the Pope. All main roads and highways in Ethiopia will become pedestrian-only for a couple of days in January. 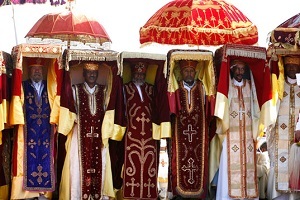 Epiphany, celebration of Jesus' baptism, is one of the most fascinating holidays in Ethiopia. Replica of the Ark of the covenant, the essence of every Ethiopian Orthodox church, is off limit to visitors and followers. It is only on the eve of epiphany where these replicas, carried by chosen priests, venture out from their shelter. Followed by hundreds of thousands of faithfuls, these replicas are brought together in one square. After a series of ceremonies which continue through the night, Epiphany is celebrated in the morning with symbolic baptism. In Addis , holly water will be sprinkled on the public. In Gondar people jump in a pool... it is a day where most people would be out of their home to get a blessing. This can be seen as the London or Boston Marathon of Africa. A popular annual event started by the legendary Haile G/sellassie, the Great Ethiopian run is a unique time of the year which brings together people from different parts of the globe. 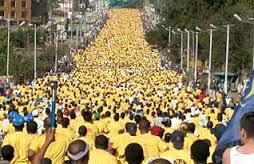 Taking place in November of every year, this 10 kilometers run is attended by tens of thousands. It is a mix of athletics and a festival atmosphere that every one taking part enjoyed. Checheho, Habesha 2000 and Yod Abyssina have been the best choices for my customers. 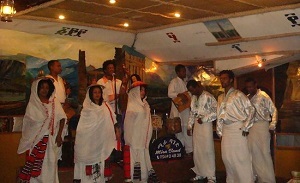 They all show case live music along with the various Ethiopian traditional dances. 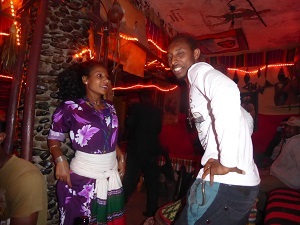 Since they are also restaurants you can do 3 things at a time: eat Ethiopian, listen/ watch Ethiopian music and learn to dance. 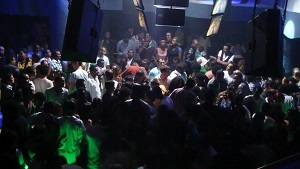 Nearly all main tourist destinations have their traditional clubs. Balageru in Bahirdar and Atse Bekafa in Gondar and Honey in Lalibela were my customers best picks. 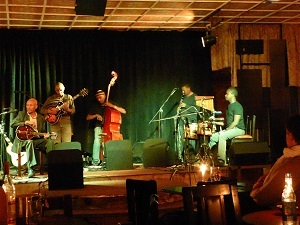 Jazz Amba is the best Jazz club in Addis. The second best would be Mama's kitchen. Can't pick one or two as I have had good feed backs for all these night night clubs: Club H2O, Gaz Light, Flirt, Illusion. 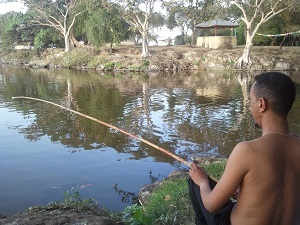 Didn't come accross many who are passionate about about fishing but the few I did enjoyed Lake Langano and Awasa. 1/ Birding: not my area of specialty and don’t want to learn at a traveler’s expense. If you are into birds however, I will be happy to link you with colleagues who have mastered the trade.